For one, he is also a well-known brand endorser, though he trails behind fellow soccer player David Beckham, who makes an estimated $37 million annually. Ronaldo, on the other hand, earns more than $22 million annually off the pitch from sponsors like Konami, Castrol, and Nike. He even appeared in a series of underwear ads for Armani, just like Beckham. Ronaldo's presence in Real Madrid allowed the Spanish club to secure huge deals, like the team's eight-year Adidas shirt sponsorship, reportedly worth $50 million every year. It also helps that Ronaldo is playing the most popular sport in the world, enabling him to appeal not just to fans in Europe, but even in Asia and the Americas. He is a talented soccer player, averaging more than a goal per game for Real Madrid, which gives him a sure spot on the highlight reels. His team, Real Madrid, is a consistent winner in and out of the UEFA Champions League, with more than 30 La Liga titles under its belt. Of course, no one could discount Ronaldo's looks as part of his popularity. Aside from being at the prime of his career at 30 years old, he has an attractive face and sculpted physique that appeal to women in the same way that his athletic abilities draw in men. He has been linked to various celebrities like Paris Hilton and Kim Kardashian, which further bolstered his fame not just in sports magazines, but even in gossip columns. All these things have made Ronaldo one of the most marketable people of his generation. But clearly, one of the biggest factors for his worldwide appeal is social media. Up Cristiano Ronaldo is also the world's most popular athlete in social media, with 106 million Facebook followers and 33.4 million Twitter followers (numbers collected on February of 2015). 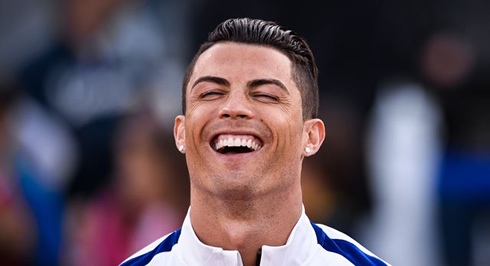 According to Facebook's Glenn Miller, Ronaldo's Facebook fans could wrap around the world four times if they all joined hands and be able to fill Portugal ten times over. Even Floyd Mayweather, who led the world's highest paid athletes in 2014, just one notch higher than Ronaldo, could not keep up with his staggering social media success. His toughest rival on field, Lionel Messi, is eclipsed when it comes to Facebook followers at 57 million. Still, Messi is the second most popular soccer athlete in social media, even though his number of fans is almost only half of Ronaldo's. The secret to Ronaldo's popularity on social media is the way he connects with his fans. For instance, when he reached 100 million fans on Facebook, he marked the occasion by sharing a video on his page, thanking his fans for their outstanding support. He said, "It's amazing to achieve this incredible milestone and connecting with all the fans around the world." He also celebrates his wins and promotes his global initiatives on Twitter, like "The GAME by Ronaldo", a globally crowd-sourced football competition. 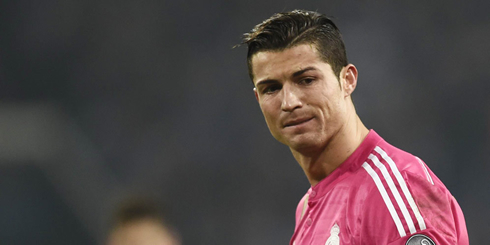 Just like most social media users, Ronaldo also shares his reactions to many events, including winning awards. He also updates his fans regarding his games and travels, thus giving his followers a sneak peek of what's going on in his head. Ronaldo also knows how to appeal to his fans' emotional side. His Facebook photo celebrating Children's Day with his son garnered 3.4 million likes, making it his most liked post ever. Ronaldo definitely knows how to tap into the power of visuals, often posting photos and videos exclusively for his fans, ranging from photos of his team to a photo of a watermelon carved in his likeness. His last tweet in 2013 showed his unique yet awkward way of ending the year, by getting a last massage from a bunch of Real Madrid physiologists. His connection with his fans doesn't stop there. Early last year, Ronaldo's social media repertoire grew to include Mobio INsider, a free fan directed engagement platform that rewards fans with exclusive content from the stars they follow. 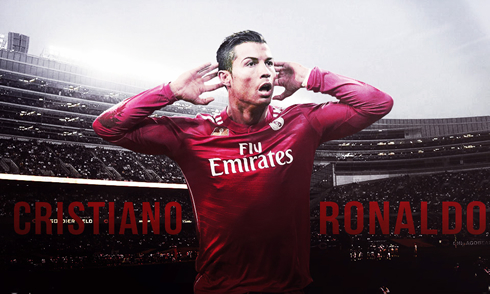 Ronaldo is able to interact directly with his fans, answering the most popular and meaningful fan questions that have been upvoted on the platform. He said, "Mobio is a perfect way to communicate with them and share my experience as it happens." The company also intends to develop other content categories in sport, business, culture, and wellness. Cristiano Ronaldo may not be the best athlete of all time, but he sure is one of the most influential, thanks to his solid link with his fans and followers all over the world through social media. Cristiano Ronaldo next game will be in the Spanish League against Villarreal, on the 1st of March of 2015. You can watch Juventus live stream, Real Madrid vs Villarreal, Barcelona vs Man City, Bayer Leverkusen vs Atletico Madrid, Juventus vs Borussia Dortmund, and Sporting vs Wolfsburg, all matches provided from our soccer streams section.